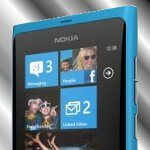 Following through on a promise made back towards the end of last month, the first firmware update for the Nokia Lumia 800 is starting to roll out as we speak – bringing along some much needed fixes and tweaks to improve the high status Windows Phone. Of course, it’s better to have some things than nothing at all, but as it stands, it’s being sent out in waves – being rolled out over the course of the next two weeks actually. Looking ahead, there is word that another update will be made available in early 2010 to offer additional enhancements to the software. wow nokia has really impressed me, they can go back in-time and provide updates in 2010.
so these phones are available since 2010... why didnt they sell it back then??? or these phones can make you travel back in time???? so nokia invented a device that breaks the law of space and time contium? ?